This is a M30 variant of the Mauser C96 semi-automatic pistol in 7.3mm calibre. The serial number of this example puts it around 1932. It has the three chinese characters on the magazine indicating it was for the Nationalist Chinese contract. The barrel is the standard 140mm length. Somewhere along the last 80 years it has acquired a commercial stock by Geha. Along with this one, I show below my 1920 regulation police rework with fixed sights and the short barrel. I would rate the condition of this one as tired, I have since cleaned it with a copper brush and it’s looking a lot better, but the ex-China ones are always beaters. This booklet, dating from 1946, is a facsimile of the surrender documents signed on the USS Missouri, in Tokyo Bay, on the 2nd September 1945. These were produced by the National Archives in the US for distribution to institutions and individuals in education. I have the German ones here. This is an odd one. 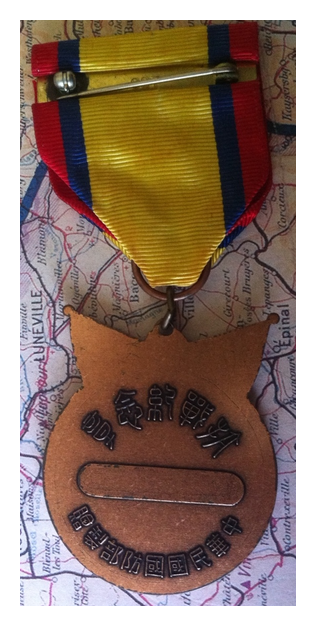 It seems to have the same front as the Nationalist commemorative medal but the back is completely different, having the year 1945 and a reference to the defeat of Japan. I have posted this to a China medal subforum so hopefully I’ll hear soon. My thoughts right now are tourist fake from China. 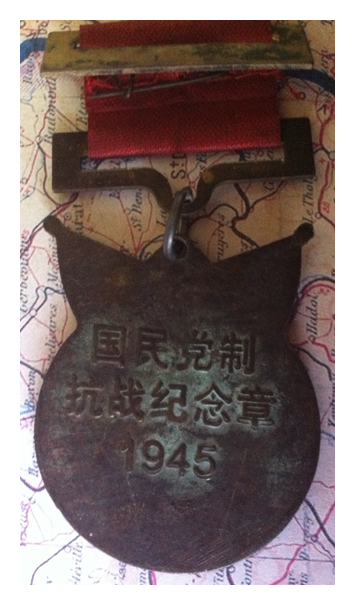 Sometimes called the China War Memorial Medal, this medal was authorized by the Chinese Nationalist Government for issue to all servicemen and others who assisted the Chinese in their fight against Japan during the Second World War. 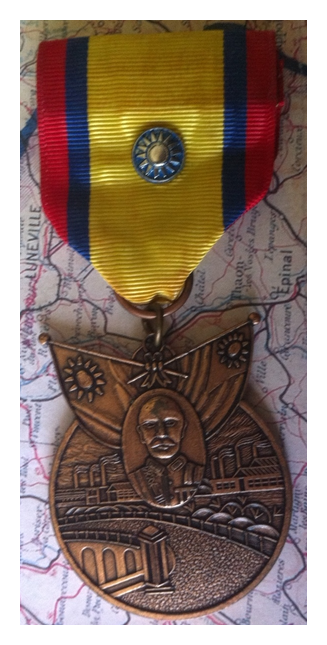 It was awarded to both military and civilian personnel who were directly involved in the war effort. Perhaps the largest single group of Americans to receive this medal were members of the 14th Air Force, the famed “Flying Tigers.” This medal was presented to them in a special ceremony during a convention of the 14th Air Force Association held in New Orleans on August 2, 1975. The medals were formally presented to about 200 veterans by the Ambassador of the Republic of China and Anna Chennault, the widow of General Claire L. Chennault, the former commander of the Flyng Tigers. 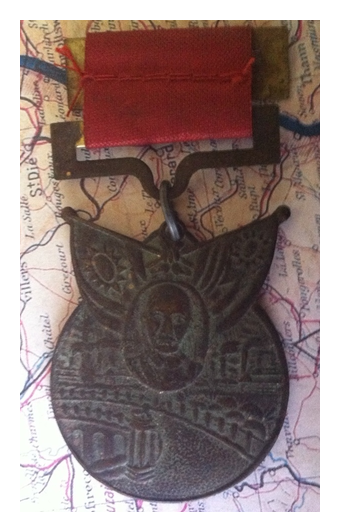 The front of the medal shows the Marco Polo Bridge, which spans the Yeng-ding river. The bridge symbolizes the outbreak of the Sino-Japanese War, because Japan’s full-scale aggression against China began on July 7, 1937, near Peking in a small town called Lukou-Chiao, which means “Marco Polo Bridge.” Above the bridge are the crossed flags of the Republic of China and her Armed Forces, symbolizing unity of the Chinese people. The portrait between the flags is that of Chiang Kai-shek, who was Chairman of the Military Committee of the National Government during the war. In the background over the bridge can be seen a city with smokestacks, alluding to the return of peaceful pursuits.